WELCOME! Everyone is invited to gather with us and share in the spirit of unity, compassion, hope, peace, love and joy! As part of RE Faith Formation we will be rounding off the exploration of our UU Principles & Sources with the 7th principle: RESPECT FOR THE INTERDEPENDENT WEB OF ALL EXISTENCE OF WHICH WE ARE A PART, Through the celebration of the mysteries of Spring rituals as offerings of hope for peace. 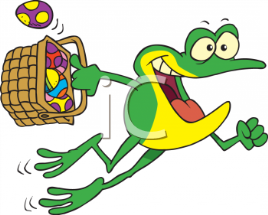 Egg Hunt on April 21st after Easter Intergenerational Service… All AGES ARE WELCOME! March: As we march on with love in our hearts, with the hope of spring to raise our spirits, let us take a moment to reflect on the awe and beauty of nature that we all are a part of. In March we will be embracing change by reflecting on the changes of the seasons that have the power to stir our very souls.And planting the seeds for the future, now, through the guidance of our Unitarian Universalist Principles and Sources. RE Faith Formation Sunday Morning Dates! 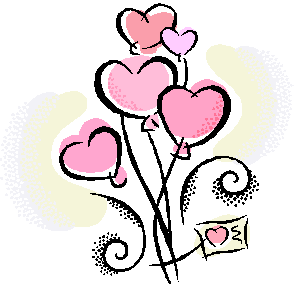 February 10, Love Intergenerational & Ice Cream Social! Religious Faith Formation is about embodying our Unitarian Universalist faith in a myriad of ways, always. Come and join us as we slip from the noise of the holidays into the peaceful silence of winter and reflect on the state of our hearts, mind, and spirit. We’ll be exploring our religious faith and reflect on how can peace begin with me? January 27th 5pm COA Chapel Evening Service~ Families & Friends are invited! Wishing everyone the special blessings of this glorious seasons! Come and join us in counting our blessings! December 2nd through January 6th ; donations of knitted items for those who need yoUUr loving care! Thanksgiving is the perfect time to express our gratitude for all the blessings in our lives. Gratitude is a blessing that transforms the uncertainties of change into the love that carries us through. We want to give thanks to every beloved member of our community! Change opens us up to informational choices that broaden are UU faith formation… We are excited about the transnational changes our building is going through to make it even more welcoming and accessible and safe! Come on by for a visit and feel the love of community. Then stay awhile to experience the changes in the RE Faith Formation program as it transforms to Lifespan Faith Formation. It is our aim to foster a vision through our programs as we welcome changes that will further open us to transnational choices that broaden our UU faith formation. Welcome Back! RE UU Faith Formation begins September 16! 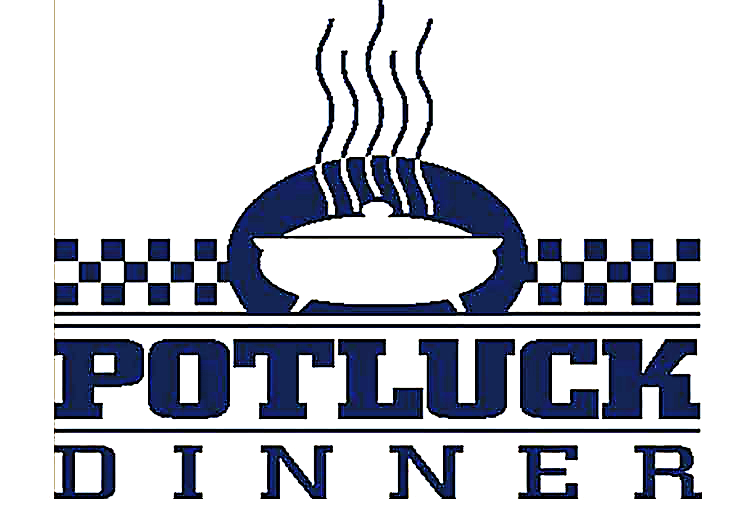 22nd (Saturday) 6-8pm FPC Welcome Back Potluck! It is bonding with other UU’s that forms, and informs our UU identities. When two people meet one Sunday, and don’t see their new friend and old friends the next, they are disheartened and discouraged about coming back. What makes “church” happen is you being here! WE Need… one hour of your time please…Chapel Buddies or Leader, Group Leaders, Talented Guest, etc. Se e you in September 2018! In the month of June as “RE” winds down, the winds of change stir up what to some may feel is the storm of chaos taking us through the thresholds of porta potties. Yet, there is an undeniable excitement in the air as we go through this liminal time and First Parish Unitarian Universalist Church of Chelmsford transforms into an even more welcoming and accessible congregation. Indeed, what exciting revelations will these winds of change bring to transform and create an awesome future beyond our imaginings? May they be blessed ones and fill our youth and everyone with hope! May 27th: The Great RE Faith Formation Movie & Moving Day! 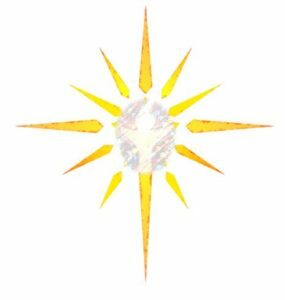 September 17th: RE Faith Formation Resumes; Welcome Back! May 2018 is a very exciting month as we come together to prepare and celebrate our communities milestones, including First Parish Historical Accessibility Building Project! 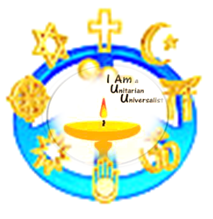 Ultimately UU Faith Formation is about all of us identifying ourselves confidently as ethical, spiritual, worthy individuals who know and understand what it means to say “I am a Unitarian Universalist” and… I belong to a wonderful church community. The embodiment of our UU faith is the greatest gift we can give our youth. Being present in these moments is living out our UU faith now, into the future and beyond. May 27th: RE Faith Formation Movie & Moving Day! Will the “Early Beginner’s” Group be meeting in the new bathrooms next year? the “RE” Faith Formation Program and YOUU! April RE Faith Formation Sunday Morning Dates! Jollene Dubner – All Church Faith Formation Earth Day! March RE Sunday Morning Faith Formation Dates! March 25th: Chapel Day: Spring & Rituals! The World is a Rainbow! And different types of People make the World go Round! RE Sunday Morning Faith Formation Dates! Collecting donations of knitted items for those who are in need of our UU loving care. Please place donations on the tree in the vestry. Winter Solstice Intergen Sunday, December 17th. December 24th at 5:30pm join us for a very special evening service for children and families. There are no RE Faith Formation programs in the evening. Have an Out of this world Halloween! Be ready to stop, drop, and roll… and run! Extra-ordinary times: Dear families, Please remember that during extra-ordinary times as adults our priority should be protecting our children and youth. It is important to make them feel safe by monitoring their access to news especially sensationalized media. Also, important is “checking in” by listening to what they are saying to you, to others and paying attention to their behaviors. Intentional conversations about safety measures that have been taken to ensure their safety and what to do if they feel unsafe is always a good idea. Lastly but not least, it is important to remind them how as UU’s the first principle of “inherent worth and dignity of everyone” begins with their own “inherent worth and dignity” and how much they are loved  I am happy to be of service to you and your families if you need anything further. We will be addressing concerns of the children and youth with them when Religious Faith Formation resumes at appropriate levels for their ages. Religious Faith Formation will resume on September 17th. A sacred space for families to create a unifying strong foundation now, for the future and beyond. 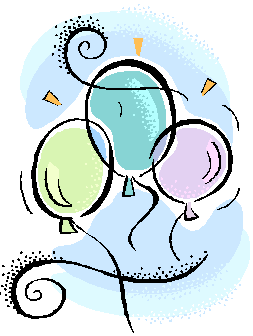 September 17th-We’ll all be gathering at the Chapel at 10:00 am and go together to the Town Commons for the first Chalice Lighting. September 17th OWL Parents Mandatory Meeting in the evening. Our Whole Lives (OWL) is being offered this year for youth in 7th to 9th grade. It will not be offered at FPC again until 2019-2020. Please contact Dolores at [email protected] for more information. 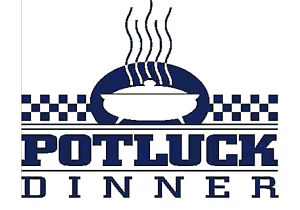 September 9th-All Church Family Potluck on Saturday, from 6 to 8pm. We look forward to seeing you all again in September! Great Job raising the FPC Unitarian Universalist Family Village Children! On May 21st we all felt so proud and honored by the Coming of Age celebrants… Artem, Bill, Daniel, Devin, Emily, Isabella and Olivia and their mentors Chris Sweetnam, Chris Boucher, Sally Seekings, Russ Graham, Pamela Beckwith, Kathy Deschenes and Teri Ralbovsky! If you weren’t able to attend the service their speeches are posted on the bulletin board in the vestry. And How Are the Children? And How Are the Children? It is still the traditional greeting among the Masai, acknowledging the high value that the Masai always place on their children’s well-being. Even warriors with no children of their own would always give the traditional answer, “All the children are well.” Meaning, of course, that peace and safety prevail, that the priorities of protecting the young, the powerless, are in place. That Masai society has not forgotten its reason for being, its proper functions and responsibilities. “All the children are well” means that life is good. The children’s future & beyond… Depends on YOUU! 6/1 Thursday: Jolene Doubner Park Clean-Up Day! As we wind down the year we can see all the possibilities of our future through our youth. This month is a celebration of our entire church community uniting in the formation of our youths UU faith. On May 7th we want to show our appreciation to our volunteers this past year and honor everyone whose generosity of heart, time, and pockets makes UU Religious Faith Formation possible including Milestones for youth in our program. Another very special celebration this month is the Coming of Age (COA) Intergenerational service on May 21st where seven of our wonderful youth, Artem, Bill, Daniel, Devin, Emily, Isabella and Olivia will celebrate this important rite of passage with their mentors after preparing for the past year. Part of being a caring community is reaching out. We encourage all RE Faith Formation families to go to the Peace March if possible. There is an intergenerational for those who can’t go. Another opportunity to reach out as a family to our community is helping maintain the interdependent web’s beauty. If you are interested in going to Jolene Doubner Park to spruce it up on May 28th (Memorial Day) please contact Dolores~ [email protected]. Our original date was cancelled because of the weather. 5/14 All Church Mother’s Day Peace Walk; Happy Mother’s Day! Oh No! Cancelled because of weather! 4/9 UU RE Faith Formation Chapel Day; Spring Rituals & Traditions! 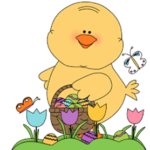 4/16 Intergenerational Easter Sunday & Egg Hunt! May 7th, RE Faith Formation & Milestone Sunday! Volunteer Appreciation Breakfast! Gathered here in the mystery of the hour. Gathered here in one strong body. Welcome New Families Meet & Greet! Here at First Parish we are delighted to see new faces and want to make sure you feel at home. Please join us so we can make sure you have everything you need to feel comfortable and know all our wonderful church family can offer your family. Rev. Ellen and Dolores~ the Director of Religious Faith Formation along with others will be there to meet with you and answer any questions you may have. Hosted by RE Faith Formation Council. Babysitting will be available. Looking forward to seeing you! All Parents Night and Potluck! Have you ever wondered how to uphold UU principles when you’re trying to ______ and your child is ____________? Please join us for Conversations about Parents & Children’s journeys through transitions together. Your experiences are great resources to share and help others through the mystery of parenting… during the struggle and the power. Hosted by RE Faith Formation Council. Looking forward to seeing you! 3/12/2017 UU RE Faith Formation Chapel Day; Spring Campout! Gratefully & Con Aprecio to all our wonderful RE/FF Volunteers like Makayla and Kim Cassie for Making Candy & the RE Council for hosting/sponsoring ICE Cream Social!! ♥Welcome Kristina Snell our new RE-FF Coordinator/Assistant! Please note: The Talent showed has been postponed until further notice. From you I receive, and to you I give, together we share, and from this we live. pa, rum, pump pum, pum…. This month we’ll continue learning about how great our First Parish of Unitarian Universalist Congregation family is, was, and will be. Thank you all for making our congregation such a great place to grow up in! November 6th: 4th to HS in groups; 1st to 3rd Chapel Faith Formation day. November 13th: Thanks-giving Feast Chapel Day! 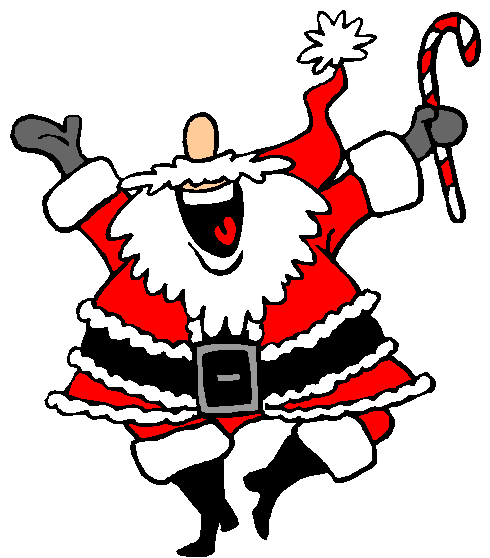 November 27th: we’ll start getting ready for the Holiday’s and Drummer Boy Pageant on December 24th. 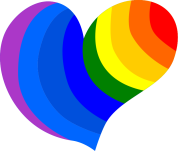 LGBTQA… Youth Group Hosted by Emily and Co.
Sunday, November 13th, 27th; 6pm to 7:30. Reverend Ellen and Dolores~ invite RE families to join us for very special Evensong gatherings every 4th Sunday of the month at 4:30pm. Babysitting will be offered for younger children. These gathering give families the opportunity to bond and reflect on the gift of being a family. The Super RE Faith Formation Council invite parents to come to these monthly parenting conversations & potluck nights. If you are interested in being a guest speaker or sharing a talent on these nights please let us know. Babysitting is provided and there is a supervised study/hang out space provided for older youth. The Religious Education Faith Formation theme for 2016-2017 is “Our UU Family.” We are continuing the second of our three year cycle of Identity, Community, and Interconnected World. This year’s community focus will be to ground us in the Unity of UU families, at home, church and the broader community. Ultimately as part of the UU Faith Formation we want our youth to identify themselves as ethical, spiritual, worthy individuals and know they are beloved members of their families, UU family community and confidently go out in the world and live out their UU Faith. All groups Pre-k through High School meet in the chapel at 9:45am to be in sanctuary for parade at 10:00am. Halloween Carnival after parade. No violent or gory costumes. Thank You! COA, Coming of Age program will also be offered for grades 8th through 12th. Mentee Orientation Retreat October 2nd; Mentor Orientation Retreat October 16th; COA Family Dinner October 16th at 6:30pm. ~The Nursery Opens on September 11th from 9:45 to 11:30am. ~The RE Registration and Information Packets for 2016-2017 will be e-mailed/mailed during the week of September 1st. Thank you for the privilege of serving your wonderful church community another year! Just come on over and bring your favorite foods to share! We will be providing dishes, utensils, cups and drinks. Please remember to be aware and label and read food ingredients. Sept. 18th Beginning of the Year Chapel Celebration! Congratulations to RE parents! Who amidst delightful cheers, or despite of sports, homework, rehearsals, friends, family time, so forth and so on, and grunts and sneers (forgotten once they were here) did their best to bring their children to RE this year! Congratulations to RE parents! Who despite wanting to be their children’s friend, recognized they’ll have many other friends throughout their lives and it is more important to be a parent and have the wisdom to give their children a solid faith formation in our great Unitarian Universalist religion. Even if it meant giving older youth a short reprieve from RE but making sure they remained involved in our church community. Congratulations to RE youth! Who maybe and perhaps did not quite understand why they were being brought here… when there was sports, homework, rehearsals, friends, family time, so forth and so on and sometimes cheered and others grunted and sneered (forgotten once they were here.) And if parent or youth at any time doubt, they will know in the coming years, when they look around and see they are still linked by the heart to their beloved community. This year we have been “linking” it all together. Throughout the year we have been making paper link chains binding us together with our church community. RE began with making their group covenants on link chains at the beginning of the year and will end linking them all together with a symbolic link chain embrace by our beloved church community. We invite everyone to join us at the RE Sunday RE Faith Formation & Milestone service on May 22nd to celebrate our youths and community milestones! May 8th Peace Walk and Mommy & Me Tea! All Church Faith Formation Earth Day! Friday April 22nd from 10:00 am to noon! The Golden Rule, or versions of it are found in many traditions. One should treat others- as one would like others to treat oneself. Our first Unitarian Universalist principle, “The inherent worth and dignity of every person,” resonates strongly with the golden rule. This is a guideline found in many religions and links us all together in the chain of life. This month we will continue our social action campaign, approach social justice issues like bullying and transition to inter-cultural faith religious education. For the past few months we have been forming our UU identity, now we are ready to empathize and develop a better understanding leading us to more compassion and love for one another. Hopefully learn… let there be peace, and let it begin with me, us, UU! April 9th, Saturday, RE Family Potluck Paint Night! April 22nd, Friday 10am to 12pm Jollene Dubner Park Clean-up! Heads up! Milestone Sunday May 22nd & Bridging June 19th. 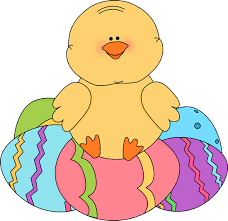 March 27th, Easter Intergenerational and EGG HUNT! March 5th, RE Family Potluck, Hawaiian Themed Luau! How sweet it is to be loved by UU! During the month of January our focus was multiple perspective on peace and how it begins with each one of us, me and UU! We linked it all together through mindful meditations and various disciplines. And now we are ready to spread peace through acts of love and compassion. During February we will start spreading our love with the desire of promoting peace by doing a UU RE Faith Formation Social Action Compassion Campaign for Peace & Love! Thank you for volunteering for RE! 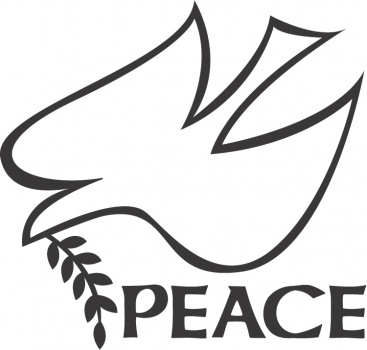 Our theme this month is PEACE. We will be learning about Peace from multiple perspectives. This year we will be “linking” it all together. Throughout the year we will be making paper link chains binding us together with our church community. 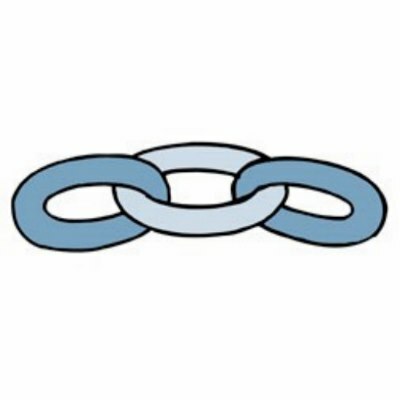 RE began with making their group covenants on link chains at the beginning of the year and we will end linking them all together with a symbolic link chain embrace by our beloved church community. We invite everyone to link with us! There will be extra links at the RE table. Hope you join in linking us all together! Let’s begin by thanking everyone for making the Holiday’s special. Especially all our youth who were involved in Caroling, the Pageant, The Christmas Services Ushers, The Mitten Tree and the UU School of Rock! The RE Mitten Tree tradition continues… The Mitten Tree is an RE Faith Formation Service Project. We really appreciate donations of knitted items for those who are in need of our loving care. Please place donations on the tree in the Vestry from December 6th through January 10th. Oh Joy! The Holidays are here! A time of Great Expectations for hope, peace, joy and love! A time for wonderful celebrations and to spread good cheer! December 13th, RE Winter Holiday Celebration Chapel Day! All Pre-K through 8th grade youth are welcome to participate. We also ask high school youth to please volunteer as ushers at the service. The Christmas Pageant will take place during the 5:00pm service on Christmas Eve. Children and youth in grades 1-8 are encouraged to participate. On December 6th and December 13th we will do practice runs. Our last rehearsal will take place on Sunday, December 20th just after church in the sanctuary at 11:30. Pre-k and Kindergarten can participate as lambs. They will create their costumes on December 6th and join the rehearsals on December 13th and December 20th after the service at 11:30am in the sanctuary. If your child does not choose to participate in the pageant, there will be other activities planned for them during RE time. Study Youth Group: (cancelled 11/29) Sunday nights, between 6:00 to 8:30pm; This group meets in the High School Room Classmates and friends (8th to 12th grade) are welcome too. There is food provided and students can also bring in any favorite snacks and drinks. The study group provides a common space for youth to study. It is meant to be an independent and interactive setting to motivate study. First Parish of Unitarian Universalist Congregation is, was, and will be. Thank you all for making our congregation such a great place to grow up in! New times this year: 9:50 to 11:00am This year we are asking all our youth to please be here by 9:50. Luminaries! Calling all youth to come and paint Luminaries during Social Hour for the Transgender Day of Remembrance Vigil. To make the church look as welcoming as possible, we line the street along the side and front of the church, and the stone wall boundary of the parking lot, with luminarias. These are bags decorated with butterflies (a symbol of the transgender community) filled with sand and containing a lit candle. We invite you Look for the Welcoming Congregation Committees’ table with the rainbow flag and come and paint luminaries. BOO! 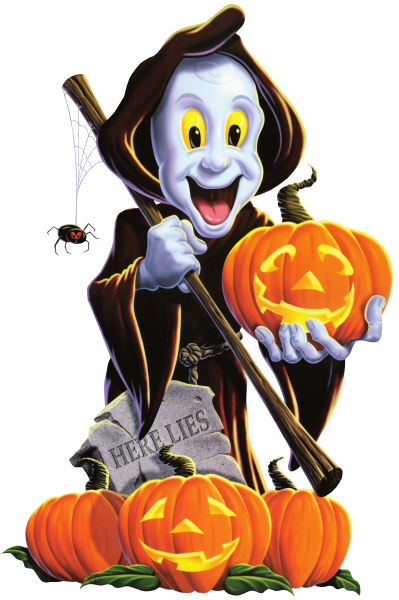 Join us for some spooky fun! October 25th; Halloween Parade & Carnival! No gory or violent costumes-Thank You! Heads up High School Youth! HS Overnight to Haunt the Chapel October 24th! RE Families Monthly “Let’s Get Together” potluck Saturday, October 24th; 5 to 7pm We look forward to seeing everyone at the monthly RE Family Gatherings! The RE Council hosts these events once a month to support our families and give UU RE families the opportunity to socialize, relax and have fun together. There will be fun activities for the children and parents will have an opportunity to meet and play together and… create Halloween decorations too! We will be meeting in HS room at 11:45 and leave by noon. 10/11 RE Annual Fire Drill This month we will be learning about how we can love one another by keeping each other safe! We want to make sure because of accessibility concerns especially around the nursery and high school room we are as prepared as possible within the restrictions of the building that all our youth are safe in case of an emergency. 10/4 Please join us on October 4th for Membership Committee Intergenerational Service. 9/27 Bruce Freeman Bike Trail Clean Up! High School Study Youth Group, 6 to 8pm. Hope everyone is enjoying the summer and looking forward to a wonderful new church year! The Religious Education Faith Formation program begins on Sunday, September 13th at 10:00am. We all will be gathering at in the Chapel and then go to the Town Commons for the first Chalice Lighting. Everyone is invited to gather with us and share in the spirit of love & hope for a wonderful year. We will be building on the themes from the last couple of years by further understanding “Our UU Identity” and broadening our awareness of our connection to the world through last year’s theme “Our UU Earth/World”. 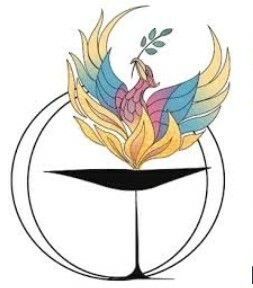 In addition to expanding on UU basics, environmental, social justice and exploring diverse perspective of worldviews we will continue striving to be Unitarian Universalist beyond Sunday mornings. Ultimately as part of the UU Faith Formation we want our youth to identify themselves confidently as ethical, spiritual, worthy individuals and know it means “I am a Unitarian Universalist” and I belong to a wonderful church community. We are excited about improvements to the Sunday morning program in order to better accommodate the needs of our families and program. Here is a brief overview with the focus on being Unitarian Universalist from multiple perspectives. Approximately once a month there will be UU Faith Formation Chapel Days and an Intergenerational service with a variety of UU themes along with other events. In addition we will have UU Faith Formation Groups based on grade and age. The groups begin with younger youth learning UU Basics, and building up from there through 8th grade. Our High School Students will continue the Sunday morning sessions starting at 10:00am and the Sunday night Youth Study Groups will continue. OWL is also being offered this year to FPC families. 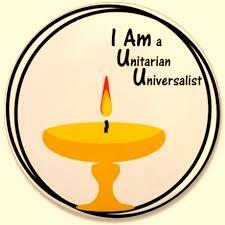 YRUU is what “I am a Unitarian Universalist” Faith Formation is all about! Faith Formation is everyone coming together and collaborating as Unitarian Universalists! As you can tell we are planning to have another exciting year and are counting on YOU, our wonderful volunteers to have a successful program. The most precious gift we can give each other as individuals and families is coming together as part of a community. Especially as role models for our youth! ~The Nursery Opens on September 6th from 9:45 to 11:15am. ~The RE Registration and Information Packets for 2015-2016 will be e-mailed/mailed during the week of September 1st. ~CORI forms & Safe Child Policy: In order for our students and congregation to flourish it is important that all of us want to make sure that we offer them the safest environment possible. On April 2013 the Standing Committee approved the implementation of the CORI policy for all RE Volunteers starting in 2013-2014. Along with the Safe Child Policy we ask all RE Volunteers to fill out the form at the beginning of the year (CORI forms every two years.) This year we will be asking volunteers to fill the CORI forms again. ~There are still to volunteer opportunities! Jill Hayes, REAA: [email protected]. …WE also want to congratulate the COA students, Lily, Edith, Tristan, Jeffrey, Ethan, and Ali that will be presenting their credo’s to our community at the June 7th service. And our youth who bridged this year, Michael and Marion, whose speech we offer below to inspire not only youth and families but all our wonderful volunteers who make up our wonderful community. We are very proud of all our UU youth especially our graduates, including Aleric, which even if he did not get to “Bridge” because of logistics, shared with us this very important public announcement he did for his Eagle Project about Food Allergy Awareness which was especially relevant this year. One more congratulations…This year the RE theme was our UU World with the hope of broadening our youth’s worldview from a Unitarian Universalist lens as part of their Faith Formation. During that time our youth embarked on an earth carbon print awareness campaign and went beyond RE class to our church and community at which time we held a contest promoting the “Response to Global Warming Pledge.” Congratulations to Andrew, Bill and Scott who got Movie Gift Cards for getting the most pledges! You can also pick up a copy at the RE table during Social Hour on Sundays and on the bulletin board next to the RE Office. One last item, we appreciate any books borrowed from the RE library throughout the year to please be returned. On September 6th is the Intergenerational Water Communion Service at the new start time, 10:00am. RE will begin on September 13th and will also be changing the start time to 10:00am. On Saturday, September 19th, at 5:30 is the RE & Membership All Church kick off potluck. Prior to that in late August or early September the RE Council will be holding an Informative Q&A gathering for all RE families. More information on this event will be sent out early in the year along with registration and calendar and program information. the Our Whole Lives program for grades 7th through 9th. We will be contacting families in these grades with more information soon. However if you have any questions please contact Dolores at [email protected]. In closing as we get ready to enjoy summer, we hope those that will have a lot of time on their hands to ponder, may their imagination be sparked and their creativity bloom. And those who are traveling, may they take a moment to enjoy the wonder of nature and other cultures. May all their experiences wherever summer and the future take them be inspired by the spiritual, ethical, gifts of their faith that are part of their Unitarian Universalist World. My Name is Marion Murphy as most of you probably know. I grew up in this town, lived in the same house my whole life, with the church a short walk away. While I can (just barely) remember a time when Ellen wasn’t our minister, I can’t remember a Sunday when my family stayed home from church. As I’ve grown up I’ve been busy sometimes, but the majority of my Sunday mornings have always been spent here. I’ve been a part of REY, WCC, and the RE Council, gone to NOLA, the Pride Parade (which I tried to skip graduation for), and helped with coffee hour countless times. As I step onto the bridge, I’m aware of what is beyond it, but know that what came before it is the reason I’ve make it this far. I am so grateful for this community, which has supported and nurtured me into becoming the person I am now-someone I am, and I hope you all are as well proud of. Going into the years of my life I will continue to live Unitarian Universalism doing this that matter to me and trying to make the world just a little bit better. Thank you. May 17th from 9:30 to 10:30 am. 10:45 to noon on that day. Please let us know if you’re coming to the tea and RSVP to [email protected]. We are celebrating this year’s last one as a paint night too! May 24th is Movie Day for pre-K through 8th and the HS will be painting our new picnic table. 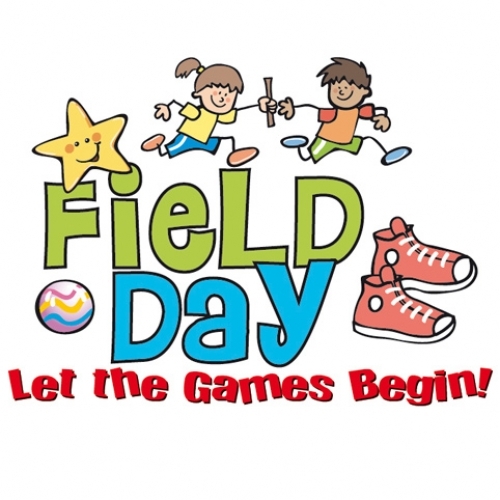 May 31st RE Field Day! Everyone is welcomed to come and join in the fun! We’ll be meeting in the High School Room. Classmates and friends (8th to 12th grade) are welcome too. Yes, we’ll have food and feel free to bring in any favorite snacks and drinks! We are providing a common space for youth to study in. It is meant to be an independent- but interactive setting to motivate study. Clean-up and Brown Bag Picnic! 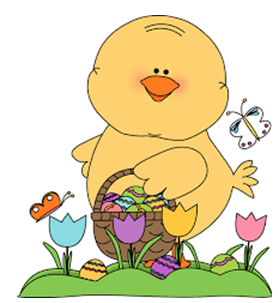 April 5th Easter Intergenerational Service and Egg Hunt! April 12th Earth Celebration Intergenerational & Ice Cream Social! April 22nd Jolene Dubner Earth Day Clean Up! April 25th RE Family Get Together from 7-9pm (RE family socializing potluck and fun event. )-OH NO….CANCELLED! Rights + Responsibilities = Freedoms. We want to assure success…. 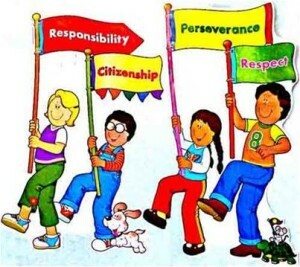 To be responsible we need to help our children learn to “respond with ability.” As we observe our children developing abilities, we can offer corresponding freedoms. …As the child over the age of six begins to explore the world…, the issues of freedom and responsibility are many times at the core of power struggles; the child desires a freedom, but lacks the responsible skills to be able to have the freedom. By teaching the skills necessary for the freedom, we can help the child. …. Conflict is created by not allowing responsibility and freedom to follow each other. Freedom is limited by the ability to respond to a right or privilege. Wise parents limit and give freedom based on the observable abilities of their children. When we understand rights, responsibilities and freedoms, our children will learn to respond with ability, earning freedoms that lead to independence. Who is in the picture? What is happening? Where is it happening? Why is it happening? Do the pictures represent things that happen in your family? Then discuss, why these freedoms are important, and what life would be like if we didn’t have these freedoms. Earth Celebration Intergenerational Service & Ice Cream Social! April 5th, Egg Hunt after Easter Sunday Morning Service. Pre-K through3rd Grade; Will start in their classrooms for their basic UU class with an Earth based focus about Spring!4th through 12th grade-Crooked Spring Reservation for Wetlands fieldtrip; We’ll meet in chapel at 9:45.Cori Rose a Wetland Expert will be leading us on our mini-expedition so our students can experience and learn about our 7th Unitarian Universalist Principle: Respect for the interdependent web of all existence … which we are all a part of. Saturday, March 21st 5 to 7pm. As we march on with love in our hearts, with the hope of spring to raise our spirits, let us take a moment to reflect on the awe and beauty of the snow and the power of nature…that we all are a part of. Since we are part of nature, we can express our power taking action by caring of our environment. For the past few months RE has been learning why it’s important to care for our earth. Now, we invite the entire FPC community to join us. Please support our youth as they reach out to make an impact beyond RE Sunday mornings when they ask you to fill out the 1-2-3 Environmental Pledge forms during social hour. This month’s Sunday morning rotation theme is Our UU World- Environmental Social Action & Justice! Remember to REUSE, REDUSE and RECYCLE! One love, what the flower gives the bee. One love, like the river runs to the sea. One love, what Mother Earth gives to you and me. One heart, our world, our community, our family and me. One heart, like the birds, we long to be free. One heart, like the music, just feel the beat. One love, when your hand, reaches out for me. One heart, when we touch, a new world we’ll see. In a land far away, a wise old man who knew a great deal about people because he traveled from place to place arrived at a strange village. In this town all the people were carrying what seemed to be great bundles on their backs. They couldn’t look around very well, and they never looked up because of the heavy burdens they carried. “You do?” asked the fellow hopefully. “That would be a miracle. I’ll go and have the mayor call the people of Grudgeville together.” And off he went, as fast as his grudges would let him. The mayor lost no time calling the people to the village square. The mayor and the wise old man stood on a platform where they could see all the hunched-over villagers. Read the story and then discuss these questions. : Do you think it’s a good idea to make people apologize when they’ve done something wrong? Why or why not? How can you tell when an apology is real—when the person making it is truly sorry? What are some ways, besides apologizing, that you can show someone you’re sorry? Can you remember a time, not too long ago, when you apologized to someone? What were the circumstances and how did you feel? When has someone apologized to you? How did you feel then? Are you able to forgive a person who has hurt you but isn’t willing to apologize? If so, how do you do it? Please join us for the RE Families Monthly “Let’s Get Together” Saturday, February 28th 5 to 7pm. We look forward to seeing everyone at the monthly RE Family Gatherings! The RE Council will be hosting these events once a month to support our families and give UU RE families the opportunity to socialize, relax and have fun together. There will be fun activities planned for the children and parents will have an opportunity to meet and play together too. Please Note: Ice Cream Social rescheduling to be determined. February 15th; Events cancelled because of snow. February is here! And yes, it’s that time of year again when love is in the air! First Parish Unitarian Universalist of Chelmsford is a caring, compassionate and loving church community. That is the most important lesson we can teach our all our youth. We can assure our wonderful legacy continues by showing each individual one of our youth they are beloved members of our community and by supporting all of them in their efforts to be good community members. We thank everyone for your support in all Faith Formation Lifespan Endeavors where we come together as a community to teach, learn and love each other. We are very grateful to the High School guest speakers who have bravely lead in-depth sessions about current Social Justice & Action events. Please further engage with our youth in these issues. Also, for the past month K through 8th grade students have been on a journey learning about the importance of their environmental footprints, now and in the future. They are learning to make sure we all care for our world for generations to come. Our youth will be reaching out to our church community in order to make an impact beyond RE Sunday mornings and ask members of FPC to join in pledging and taking action in Caring for our Earth. Our UU World- Our Earth and Love! These Rotations focus on all our Principles! Unitarian Universalist Principles song: (Sung to the tune of Do-Re-Mi) One, each person is important Two, be kind in all you do Three, we’re free to learn together Four, and search for what is true Five, each person needs a vote Six, build a fair and peaceful world Seven, care for earth’s life boat That brings me back to me and U.U. For a week, try the following, and discuss the experience daily with your children. Speak no evil. Avoid talking negatively about anyone whether you know them or not. Try not to criticize those challenging people in your life. Hear no Evil. Avoid conversations with people who are critical. When gossip or criticizing starts, try to change the subject or politely excuse yourself. Let’s teach our children to be kind by showing kindness and respect to all people especially those in need. Church Cancelled because of Snow! See you tomorrow, Sunday, February 1st 2015! We are collecting empty cans on February 1st for a project the 4th -8th grade students are doing. Please remember to make the guides aware if you are dropping your child off with them at the front pews. How do we care for our UU earth…by planning an all church environmental pledge. Insightful session with Caroline McMullin and Dee Halzack about Women Issues and Empowerment. January 4th, One Room Service: Beginning our journey learning about our connection to the Earth. Let’s start by thanking everyone for making theHoliday’s special. Especially all our youth who were involved in Caroling, the Pageant, The Chrismas Services Ushers, The Mitten Tree and the UU School of Rock! Play a modified version of follow the leader. The game is played two times. The first time is a blind walk. Everyone holds on to a long rope/yarn, make sure everyone has room to hold the rope and walk at the same time. Everyone but the Leader closes their eyes. No one is allowed to talk. The leader takes everyone around the house to a destination only the leader knows. The second time is different. Everyone keeps their eyes open. The leader tells everyone where they are going. Along the way the leader points out things that might be dangerous or detours in their route. Anyone can ask questions as long as they take turns. After the game, choose which game you prefer and why. Ask how this game was like being a leader and a follower at other times your life? Oh Joy! The Holidays are here! It’s time to celebrate! This is the season to spread good cheer, love and the eternal hope for peace! Christmas Eve Service, Wednesday,December 24th at 5:00pm. We are having a traditional Christmas Pageant during Service. On Wednesday, December 24th all pageant participants are meeting in “Blue Room” at 4:15 p.m. to get ready. Choir youth come to blue room immediately after rehearsal. STUDENTS, PRE-K TO 12th GRADE ARE INVITED TO PARTICIAPATE. CAROLING- Sunday, December 14th from 3:30-5:30, the 8th through 12th grade students are going to a nearby elderly residence. If you are interested in joining us please let us know. This is an important opportunity for our youth to spread Holiday cheer and live our faith as Unitarian Universalist. We will be leaving after COA. The RE Mitten Tree Tradition continues… The Mitten Tree is an RE Service Project. We really appreciate donations of knitted items for those who are in need of our loving care. Please place donations on the tree in the Vestry from December 8th through January 6th. 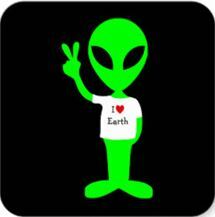 Let there be peace on earth and let it begin with me, us, UU! RE Classes resume Sunday, January 4th 2015. Saturday, November 29th from 4 to 7pm. our RE UU Thanksgiving Feast! What makes it a UU Thanksgiving Feast? they are grateful for and want to share. Thanksgiving is the perfect time to express our gratitude for all the blessings in our lives. These blessings transform into Love and will carry us through the cold winter and into the Hope of spring. We want to give thanks to every beloved member of our community, to those that helps RE in teaching our children to know they are beloved members of our community. Thank you to ALL the High School Volunteers & Speakers! WE want to thank our wonderful High School Students that came and helped out with the Halloween Carnival. Thank you… Nick, Lily, Ali, Edith, Lovey, Dylan, Dan, Marion &….! Thank you to the Super RE Council that does such a wonderful job especially “Speaking Up for RE” at the Committee Fair, RE Family Get Together and at the Halloween Carnival and Parade. Thank you to all the other church committees that give so generously to RE. Thank you to the staff members that take care of so many details behind the scenes. Thank you to all who volunteer on a constant basis making all our programs on Sunday morning and beyond successful. Thank you to all those that come to us on Sunday mornings, regardless if they have children in the program or not, and ask if we need help? Thank you, to all our FPC members and RE families that bring their children to our wonderful First Parish Unitarian Universalist Community. Thank YOU! Another very important part of our UU World is YOU! November 9th, Native American Traditions-Donations being collected for the Cheyenne River Reservation. Please no Gory or Inappropriate costumes. Just a reminder… tomorrow RE (only RE) is having a… fire drill during our regular classes. k-8th grade will start in the sanctuary. Being prepared empowers us to deal with all types of unexpected events.We are counting with our High School Youth to be here for the Pumpkin Carving and the Fire Drill. Looking forward to seeing you all tomorrow! This month as part of our UU World we will be learning about dealing with fear, following the beat of our own drum and exploring if different is scary or fun …BOO! Translation… Multi-World View rotation 10/12, Fire Drill 10/19, Matt Myers Drumming Intergen 10/26, & Halloween Parade & Carnival, November 2nd! We Need YOU to fulfill the RE mission and achieve the goals of our vision. The Religious Education Ministry theme for 2014-2015 will be “OUR UU World.” The mission for RE this year is the further understanding of Our UU Identity through building awareness of our connection to the world. It is through having a sense of belonging and feeling loved that we can teach youth to have empathy and compassion and love for our earth and everything in our world. In order to attain this goal we will be learning about the environment, social justice and explore diverse multi-cultural worldviews. As part of our UU Faith (Religion) Formation initiative we invite the entire First Parish Community to be part of our vision of being Unitarian Universalist beyond Sunday mornings by bravely engaging in Ethical and Spiritual Action. The Religious Education Program is dedicated to growing community and to cultivating wisdom through exploring spirituality, faith and ethical living that form our UU Identity. It is the mission of the Religious Education, or Faith Formation, Ministry to cultivate in our youth a sense of worth, confidence and belonging in knowing that they are beloved members of the UU community wherever their ongoing journeys take them in the world. We are committed to the idea that spiritual journeys are ongoing from birth until death. The journey begins here. Together all congregation members, families and youth are the beloved community that is the foundation of the UU Faith Formation of our Unitarian Universalist Identity and will always be part of ourselves whichever paths we choose to travel. The Religious Education vision is that through our youth’s Unitarian Universalist Faith (Religious) Formation they become empowered and contribute positively and responsibly to OUR UU World. Sunday, September 21st Autumn Equinox Earth Celebration! Grades Kinder through Eighth will start in the children’s chapel to begin with a chalice lighting and story pertaining to OUR UU World theme. Then we will be going for a walk around The Commons and Church Grounds to Pick up litter & Leaves. Afterwards there will be special activities celebrating our earth and autumn. It might be chilly, so don’t forget to wear something warm! The High School Class will be having a regular session in High School Room with Chris B. and Caroline M. as facilitators. 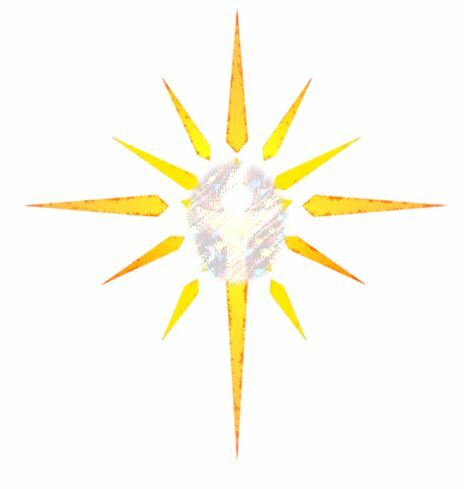 Religious Education classes begin Sunday, September 14th We all will be gathering in the chapel & go to The Commons for the first Chalice Lighting.. Everyone is invited to gather with us and share in the spirit of love & hope for a wonderful year. YRUU is what OUR UU World is all about! It is individuals and families coming together as part of a community. The most precious gifts we can give each other, and especially our youth is a sense of worth by having confidence that they belong to a loving community. Membership committee and RE Ministry ask you to please join us for… First Parish Welcome Family Friendly Potluck;Friday, Sept. 12; 6-8pm In keeping with Our UU World theme we will be caring for our earth by asking everyone to bring their own plates & utensils.Don’t forget bob…, and on stage babysitting will be available. 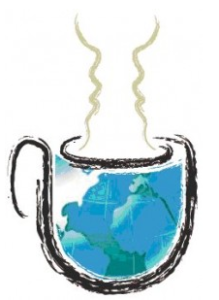 The Religious Education Ministry theme for 2014-2015 will be “OUR UU World.” The mission for RE this year is the further understanding of Our UU Identity through building awareness of our connection to the world. It is through having a sense of belonging and feeling loved that we can teach youth to have empathy and compassion and love for our earth and everything in our world. In order to attain this goal we will be learning about the environment, social justice and explore diverse multi-cultural worldviews. As part of our UU Faith (Religion) Formation initiative we invite the entire First Parish Community to be part of our vision of being Unitarian Universalist beyond Sunday mornings by bravelyengaging in Ethical and Spiritual Action. This year the primary classes will be learning about core basic Unitarian Universalist teachings as the foundation of their UU Identity. The second and third grade students will be integrating the Our UU Earth theme into their curriculum. Fourth through Eighth grades will continue with age appropriate workshops based on this year’s theme. Our High School Students will have regular Sunday morning sessions and COA. Beyond these programs there will be Special Events like Social Action events, Haunted Chapel, Holiday Winter Pageant, Field Day and monthly Intergenerational Services beginning with the Water Communion on September 7th. As you can tell we are planning to have another exciting year and are counting on YOU, our wonderful volunteers to have a successful program. I want to thank everyone for giving me the honor and privilege to serve our youth and all the wonderful members of First Parish Unitarian Universalist Church of Chelmsford for another year. Gratefully, Dolores GHeredia-Wood Director of Religious Education & Youth Programs; [email protected] IMPORTANT MESSAGES: The RE Registration and Information Packets for 2014-2015 will be e-mailed/mailed during the week of September 1st. Also, in order for our students and congregation to flourish it is important that all of us want to make sure that we offer them the safest environment possible. That is why we are very pleased that the Standing Committee on April 2013 approved the implementation of the CORI policy for all RE Volunteers starting in 2013-2014. Along with the Safe Child Policy we will be asking that all RE Volunteers fill out the form at the beginning of the year (CORI forms every two years.) Lastly, but very important… There are still volunteering opportunities you can contact me or Jill at: [email protected]. We also have a volunteer opportunity site: http://tinyurl.com/RESurvey2014 Summer 2014! Hope everyone enjoyed GA, especially our great group of youths. You make FPC proud! Hope you have a great Summer! Especially our youth- those that will have a lot of time on their hands to ponder, may their imagination be sparked and their creativity bloom. And those who are traveling, may they take a moment to enjoy the wonder of nature and other cultures. May all their experiences wherever summer and the future take them be inspired by the spiritual, ethical, gifts of their faith that are part of their Unitarian Universalist Identity. It has truly been an exceptional year and it has been an honor to be part of such a loving, caring and dedicated congregation with so much heart… RE Ministry wants to thank everyone that answered the call to volunteer for Religious Education and so generously gave to our Ministry and supported all our events! WE continue to encourage everyone to come and join us as part of the UUA Faith Formation initiative that calls on our beloved community to be part of the Web of RE Ministry. Beyond that it is important to remember that “It is truly a gift to look into the eyes of a beloved child and see the future that you are creating.” Thank you for volunteering! Come and Celebrate with RE! RE Ministry wants to thank everyone that answered the call to volunteer for Religious Education and so generously gave to our Ministry and supported all our events! 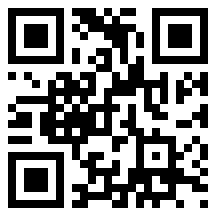 Dear RE parents please don’t forget to fill out the end of year survey. Thank you for all you do for RE! The survey may be found at this link: http://svy.mk/1f4JdXBWE continue to encourage everyone to come and join us as part of the UUA Faith Formation initiative that calls on our beloved community to be part of the Web of RE Ministry. Beyond that it is important to remember that “It is truly a gift to look into the eyes of a beloved child and see the future that you are creating.” Thank you for volunteering! As our RE program begins to wind down for the year, please take a moment to provide us with some feedback. The survey should take you no more than 5 minutes to complete. Your answers will help us plan improvements to our program. Please complete by May 23rd. During April we continue our rotation about UU Ceremonies, Worship and Rituals. Join us in cultivating our youths Faith Formation by being present as they learn about Unitarian Universalist spiritual practices being at the heart of our religion and community. Our teachers have been teaching everything from our UU Rites of Passages, Chalice Lightings, and Order of Services. We are learning the importance of a community coming together as One, as we saw during our Faith Formation “For ALL Ages” service on March 16th. At the service Bonnie Rankin showed the power of a community coming together with her storytelling of Stone Soup. The following weeks we experienced what the youth Web Ministry is all about when we were honored by our elders telling us about the tradition of the May baskets and during Canvass Sunday watching the Interviews from the Social Justice RE Workshop with Joan Coyne about our fantastic community volunteers. We are in the process of hopefully coordinating a visit to a neighboring Christian Church and Synagogue as we further learn about our UU Third Principle: Acceptance of One Another and Encouragement of Spiritual Growth in Our Congregations and look forward to explore our Fourth Source: Jewish and Christian teachings which call us to respond to God’s love by loving our neighbors as ourselves. On April 6th our High School Coming of Age (COA) youth will be doing the evening worship service. Please come and join us and on April 20th for our Easter Intergenerational Celebration and Easter Egg Hunt. Thank you! Thank you! 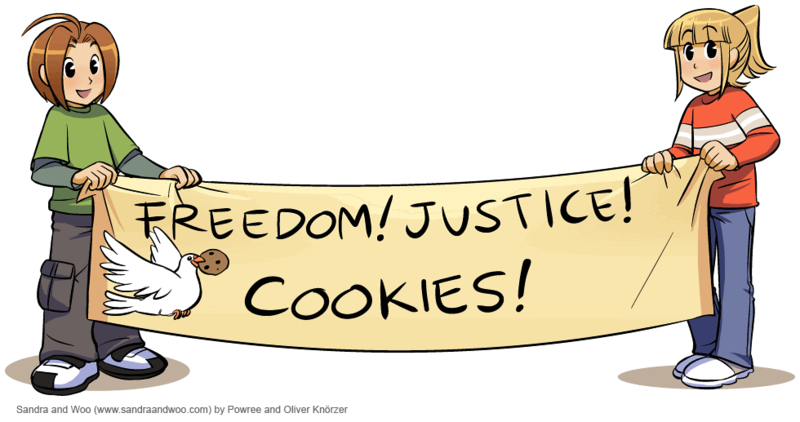 Thank you everyone for supporting us in all the Social Justice happenings! It is amazing to see how a small seed being planted and tended can grow and bloom into a beautiful garden. WE started the Crayola Cycle campaign from a suggestion to RE by Dee Halzack. Then, Sharon Rubin, during her workshop ‘UU Justice Seekers for Our Neighborhood’ had our students reach out and get the Lowell Morey School to be part of the Crayola Cycle Program. Also, Aidan Hughes reached out to his class for support with the Crayola Cycle Campaign too. Likewise the Lowell Morey School Book Drive is going great and we want to express our gratitude to UU Groton for helping us with their book donations. The Heifer Honey Bee project has gone so well that we are going to be able to double our donation and donate a second honey bee hive. This has been a great opportunity to learn how we as UU’s can make an impact in our world and learn how when we care and give others the opportunity they also experience the gift of gratitude. Truly, it is in giving that we receive, and giving others the opportunity to give, we all can experience the gift of gratitude and are showered with blessings. Please keep supporting us in teaching our youth they can make a difference. We have almost reached our goals and are still accepting donations throughout the month of April. Please take notice of the wonderfully decorated boxes, posters and honey comb containers around the church and follow the links for more information. The UUA General Assembly is an exciting and memorable experience for everyone, especially for our youth. We are gearing up for the GA where all our UU communities will be gathering in Providence Rhode Island, June 25th through the 29th. Our generous church funds the registration and rooms for our High School Youth. If you are a High School Youth and are planning to attend please bring or send your GA registration forms to Jill or me so we can all register together. April 6th, as part of our new Church Across the Street Workshop; 4th through 8th grade will be visiting St. Mary’s for their worship service. We will be meeting at our FPC chapel at 10:15am, then walk over and should be back by 12:15pm. Myself and the classroom guides will be chaperoning, but parents are welcomed to join us. It seems like it will be a great day to take a nice walk in our neighborhood. Don’t forget to send in the attached permission slip, (but if you do, we’ll have extra copies.) Please note: First through third grade will be starting in the sanctuary and then going to their classrooms. 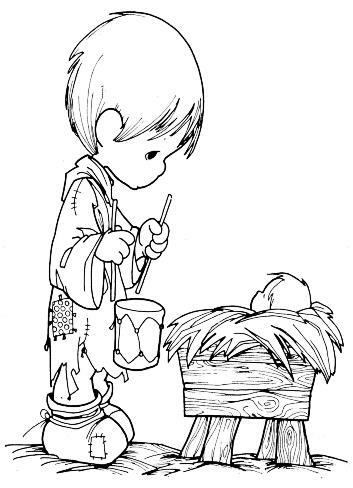 Join us for our special for all ages about the First Parish tradition of May Baskets. High School youth will be going to the JAVA Room for a Scholarly UU discussion about favorite books and journals. Please bring in attached permission slip. our High School students to do a presentation. the Auction on Saturday March 15th. MARCH 2014–This month we began our rotation about Ceremonies, Worship and Rituals. The goal is to teach our youth how as Unitarian Universalist these spiritual practices are at the heart of our religion and community. Please come and be part of our Intergenerational Stone Soup Service on March 16th. The Golden Rule found in many traditions is one should treat others- as one would like others to treat oneself. Our first Unitarian Universalist principle, “The inherent worth and dignity of every person,” resonates strongly with the golden rule. This is the core purpose of church service trips. They are personal journeys that bind us together and inspire us to “Be the change that you wish to see in the world.” Mahatma Gandhi. I want to thank everyone for affording me the honor of going to NOLA with such a magnanimous group and being able to be with our wonderful youth. As part of our UU Id the most important lesson we can teach our students is that each individual is a beloved members of our community by supporting all of them in their efforts to be good community members. We thank everyone for your support and ask you to please continue supporting us in all the Social Justice happenings. We are still accepting donations for our social justice projects to show how much we love and care about our world. Please take notice of the wonderfully decorated boxes, posters and honey comb containers around the church and follow the links for more information. RE Ministry wants to thank everyone that answered the call to volunteer for Religious Education and so generously gave to our Ministry. We are very grateful to all those that helped our youth create such a beautiful High School Room. We continue to encourage everyone to come and join us as part of the UUA Faith Formation initiative that calls on our beloved community to be part of the Web of RE Ministry. Beyond that it is important to remember that “It is truly a gift to look into the eyes of a beloved child and see the future that you are creating.” Thank you for volunteering! The UUA General Assembly (GA) this year is in Providence Rhode Island on June 25th through the 29th. This is an exciting and memorable experience for everyone, but especially our youth. We want to encourage as many of our high school youth as possible to go. Hope everyone had a wonderful Winter Break! Please join us in the sanctuary for a special service about the NOLA service project! ‘Standing on the Side of Love’ Intergenerational service followed by the Ice Cream Social during coffee hour. Thanks Nick, Marion, Tom C., Tom W. and Dave! PLEASE help pick up the new sofa for your High School Room! We are meeting at church. And First Parish Unitarian Universalist of Chelmsford is the most caring, compassionate and loving church community. As part of our UU Id this is the most important lesson we can teach our students. We can assure our wonderful legacy continues by showing each individual one they are beloved members of our community and supporting all of them in their efforts to be good community members. We thank everyone for their support and ask you to please continue your support in all the Social Justice happenings our RE youth are involved in this rotation. Please find opportunities to talk to them about social justice. Did you know that in one of the workshops members of our church were interviewed about volunteering for non-profit organizations here at First Parish? Or that the Middle School and High School students have been given the young adult novel, Luna by the Welcoming committee through a Faith in Action grant and asked to come to the book discussion on Friday, February 7th at 7pm? Also that the high school youth are getting ready for the NOLA mission trip later on this month. But… made sure to take time and host the coffee hour on February 2nd to show their love for the community that loves them. Part of our UU ID means getting involved beyond the walls of our wonderful church and showing our students the great things that can be achieved as a community! Thanks for supporting RE students in the Crayola Cycle and Morey Elementary Book Drive. Also scroll down and click on the link to see how we all can get involved in the UUA 30 Days of Love Campaign. Dried up markers can be made into fuel! Please bring in your markers and drop them off in one of the wonderful boxes are workshop students have decorated. They do not need to be Crayola brand. Please bring in books for Pre-K through 4th grade and drop them off in one of the boxes our workshop students have decorated! Sunday, February 2nd: High School Youth-Loving our Community. : as part of the 30 days of love… High School Youth are hosting Coffee/Social Hour. If you would like to participate in a skit for the February Intergenerational service on February 9th. Join us in the chapel at 10:00am on Sunday, February 2nd and 9th. It is important as part of our youths Unitarian Universalist religious education to experience church community by worshiping together. We want to invite everyone to join us for our Intergenerational Service about the Justice Stone. Any RE students who want to participate in a Justice Skit during the For All Ages part of the service on 1/19 please meet us in the chapel at 10:00am. RE Classes resume Sunday, January 5th 2014! Oh Joy! The Holidays are here! It’s time to celebrate! This is the season to spread good cheer, love and the eternal hope of peace! Our UU Id focus this month is to love others as we do ourselves; fourth Unitarian Universalist Source: Jewish and Christian teachings which call us to respond to love by loving our neighbors as ourselves. Sunday, December 15th is our RE Family “Stress Free” Pot Luck Luncheon after the morning service in the chapel. We are asking everyone to come and join the fun! You are welcomed to bring something to share for the pot luck. Please bring anything you would like to share, fancy or plain we’ll love it all the same. Leftovers and a pack of cookies are fine too. We will also be having family games. Our youth will be rehearsing earlier that day for the holiday pageant. If you won’t be able to come to the pageant on the evening of December 24th you are welcomed to come and sneak a peek. Sunday, December 15th, from 1:15 to 2:15 the 7th through 12th grade students are going caroling to a nearby elderly residence. This is an important opportunity for our youth to spread Holiday cheer and live our faith as Unitarian Universalist. They will be back on time for the COA and OWL sessions. Sunday, December 22nd from 12 noon to 4pm FREE Babysitting! Part of the Joy of the Holidays is being able to give. The RE Council Ministry is offering as a gift to all RE families free babysitting for our RE children. Please let Dolores or Jill know in advance if you are interested in having our wonderful certified babysitters watch your children on that day. You can also sign up during the coffee/social hour at the RE table. Christmas Eve, Tuesday, December 24th at 5:00pm. We are having a traditional Christmas Pageant giving us the opportunity to learn about our fourth Unitarian Universalist Source: Jewish and Christian teachings which call us to respond to love by loving our neighbors as ourselves. The RE Mitten Tree Tradition continues… The Mitten Tree is an RE Service Project. We really appreciate donations of knitted items for those who are in need of our loving care. Please place donations on the tree in the Vestry from December 1st through January 6th. Intergenerational Winter Solstice Service is on Sunday, December 22nd. Worshiping in community is part of Religious Education. Please come and join us and see a delightful skit by our young adults. 7th through 12th grade invited to bake cookies with Rev. Ellen and Dolores from 3 to 5pm for Community Table and Sunday Solstice Communion. Intergenerational Winter Solstice Service Worshiping in community is part of Religious Education. Please come and join us and see a delightful skit by our young adults. FREE Babysitting from 12 noon to 4pm! Part of the Joy of the Holidays is being able to give. The RE Council Ministry is offering as a gift to all RE families free babysitting for our RE children. is on Tuesday, December 24th at 5pm. Our other grades opportunities are: Pre-K & Kindergarten lambs; 1st grade angels; 2nd & 3rd grade shepherds. Every week, Sunday mornings 12:15 to 1:15pm after RE session. The Youth Group is a great addition to our regular RE High School Sessions on Sunday’s from 10:45 to noon. If you are in High School please come and join us! IF church is open we will proceed with all planned events at church including COA & OWL. We will be rescheduling the Caroling event because of road safety issues. Weather permitting we will have our One Room School House Christmas Pageant Rehearsal and fun day and we will have a regular High School Session with Kathy and Ron. Hopefully we can have our RE Family “Stress Free” Pot Luck Luncheon after the morning service in the chapel. We are asking everyone to come and join the fun! You are welcomed to bring something to share for the pot luck. Please bring anything you would like to share, fancy or plain we’ll love it all the same. Leftovers and a pack of cookies are fine too. We will also be having family games. Our youth will be rehearsing earlier that day for the holiday pageant. If you won’t be able to come to the pageant on the evening of December 24th you are welcomed to come and sneak a peek. Please keep safe and warm! RE will begin in the Sanctuary. Afterwards… Pre-k through 3rd grade will go to their classrooms. 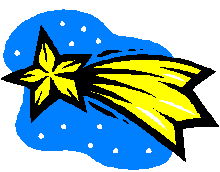 Christmas Pageant Workshops grades 4th through 8th will go to chapel. We will also be setting up the Mitten Tree! High School Students will meet in the High School Room. Part of Religious Education is teaching our youth to celebrate and worship in community. We ask all the RE families to join us! 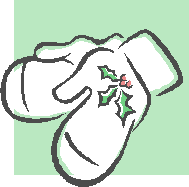 Sunday’s Nov. 17th, Dec 1st, 8th, 15th 10:45 to noon Dec. 22nd after service rehearsal and pageant Dec. 24th at 4:00pm Our other grades opportunities are: Pre-K & Kindergarten sheep; 1st grade angels; 2nd & 3rd grade shepherds. 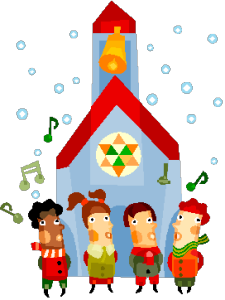 The Christmas Pageant is on Tuesday, December 24th at 5pm. One Room School House Grades 1st through 3rd will be going to class after chalice lighting in chapel for lesson on UU ID. Grades 4th through 8th planning for Holiday Pageant Workshops; We will be signing up students 4th -8th grades interested in being part of our Christmas Pageant on Tuesday, December 24th at 5pm. Please save the date Sunday, December 15th After our Holiday One Room School House we invite all RE Families to please join us for our “Stress Free” Holiday Pot Luck Lunch after the morning service. One Room School House Haunted Chapel 1st through 8th grade High School overnight November 2 & 3rd! Part of the fun will be creating a Haunted Chapel for the younger RE Students to enjoy on November 3rd. The RE Ministry wants to thank everyone that answered the call to volunteer for Religious Education. We have a wonderful year planned for all of our youth, pre-k through twelfth. Everyone is encouraged to come and join us as part of the UUA Faith Formation initiative that calls on our beloved community to be part of the Web of RE Ministry. Beyond that it is important to remember that “It is truly a gift to look into the eyes of a beloved child and see the future that you are creating.” Thank you for volunteering! As part of “Our UU Identity” theme we went back to basics. This rotation we are learning each other’s names and why UU’s wear name badges. We encourage everyone to help us by please wearing your name badge. We are also learning about UU Covenants, Principles and Sources and Sacred Practices like journaling. During one of the “For All Ages” in the sanctuary we created a Covenant between Religious Education and our Congregation. This covenant strengthens our teachings to our youth that “A covenant is a promise that members of a congregation make to one another, transforming them from a collection of individuals to a faith community…” (UU “Welcome”Primer.) In the covenant we promised Unconditional Love towards one another, to keep each other Safe, Trust, Respect, and ask Questions… We also “will be nice to one another and work as a group,” while “keeping our hands to ourselves and not spread germs” and most importantly “Follow the rules of the covenant.” Oh, and yes Chaperone sleepovers, (we’ll be calling you soon ;)…and very important, LISTENing! Coming together and learning to worship together is part of Religious Education and a Sacred Practice. We encourage everyone and especially all our students and their families to come on October 13th to the monthly Intergenerational service. This month we will also be having our Halloween Parade & Carnival on October 27th. We encourage all our students to wear their costumes on that day, (no gory customs please. )The first High School Youth Group field trip is on October 20th. They will be going on their yearly Bruce Freeman Bike Trail Clean Up. We are also planning on our first High School overnight on November 2 & 3rd where part of the fun will be creating a Haunted Chapel for the younger RE Students to enjoy on November 3rd. We’re still encouraging our HS youths to join us on Friday nights from 6:45 to 8:45. I hope that “WE,” (“RE”) can encourage all our students to join us on Sunday mornings and at all our events. Also, don’t forget we encourage you to please come and volunteer for RE! RE Halloween Parade & Carnival! We are asking that all the children be dropped off in the Chapel at 10:30 am so we can get ready for the parade. All the children and (adults too) are invited to wear their costumes. No gory costumes please… If you want to join the fun and volunteer to decorate or help with the games for the Carnival please join us at 10am in the vestry. Don’t forget to wear your Name Badges ! This Sunday Our One Room School House is about Our UU ID. Part of our UU Id is knowing about our Covenants, Sources and Principles and each others. It is about coming together as a community. For Our Collection during the One Room School House we will be supporting along with the Faith and Action Ministries the Grad Family in their fundraising efforts for the Leukemia & Lymphoma Society. For more information please refer to the October Shooting Star. Also This Sunday the High School Group will be going on the annual Bruce Freeman Bike Trail clean-up. This Sunday is a Musical Intergenerational Service celebrating the music of Pete Seeger! Coming together and learning to worship together is part of Religious Education and a Sacred Practice. We encourage everyone and especially all our students and their families to join us for this musical and fun service. is a religion based on the ideas of community. everyone is beloved and matters. Hope everyone had a wonderful summer and enjoyed the glorious weather. The RE Registration and Information Packets for 2013-2014 will be e-mailed/mailed during the week of September 1st. Also, in order for our students and congregation to flourish it is important that all of us want to make sure that we offer them the safest environment possible. That is why we are very pleased that the Standing Committee on April 2013 approved the implementation of the CORI policy for all RE Volunteers starting in 2013-2014. Along with the Safe Child Policy we will be asking that all RE Volunteers fill out the form at the beginning of the year. If you have not filled out the forms already for this year, they will be available at the RE table during the coffee hour after the Flower Communion Service on September 8th or contact me (Dolores.) Lastly, but very important… There are still opportunities to become part of the Religious Education Ministry. 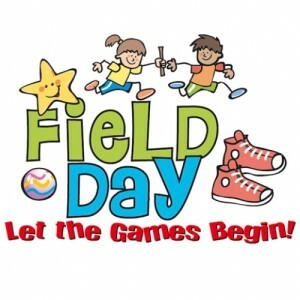 We especially need guides to come and have fun with grades 4th through 8th. Please contact me to make arrangements at [email protected] available weekends & evenings Please note: Allergies are a shared responsibility. We have students with nut and other allergies. Parents with students with allergies, please make sure students make others aware of their allergies. Thank-You!